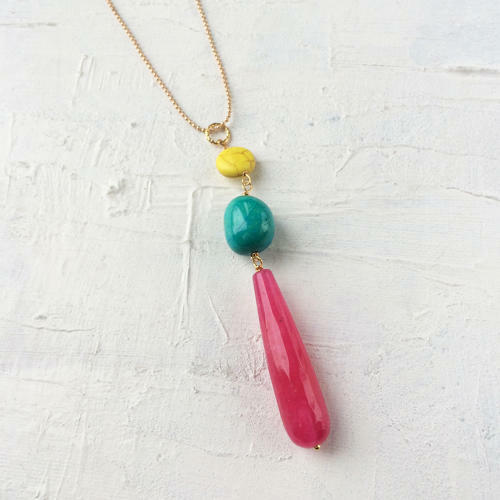 Stylish long pendant with pink kyanite, turquoise, and yellow howlite beads on gold plated link and chain. Length of pendant 9cms, chain 80cms. Designed and hand made in England.